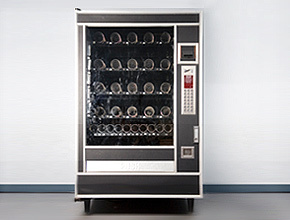 Vending can be a profitable and satisfying business, but one of the aspects many vending owners find most cumbersome is having to travel to each machine to check inventory levels – especially when it turns out there’s no need to replenish that inventory. At Intelligent Dispensing Solutions, we’ve done away with that hassle by equipping every machine we manufacture with our state-of-the-art iQ inventory control system. iQ lets vending business operators perform inventory control activities remotely, from any device that has a connection to the Internet. If you have a tablet, a laptop or a cell phone, you can connect with each of your machines to check product levels – even while you’re on vacation. iQ makes it easy to know when it’s time to restock, and it also makes it easy to track the use of each machine so you can determine the time of day and day of the week when each machine is most profitable. iQ inventory control technology can also help you serve your customers more efficiently by determining which products are most popular and by tracking the popularity of new items as they’re added. That means you can be more responsive to your customers’ needs with remote inventory reports and stock management, building your brand while you build your profits – and iQ lets you do it all remotely.